Moisturisers are vital to ever skin care regimen, regardless of skin condition and do more than just moisten dehydrated skin. 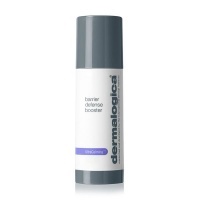 Emollients (usually lipid substances) help lubricate skin while making it soft, pliable and smooth. Moisturisers also help to protect the skin's natural defenses against the environment while controlling moisture loss from the skin. This becomes more important as we age, when the Stratum Corneum's Natural Moisturising Factor becomes less effective at regulating the skin's water balance. 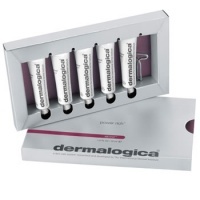 Dermalogica has a moisturiser for every skin condition; from chronically dry and prematurely-aging to skin with excess oil production and breakouts. An advanced medium-weight, daytime Broad Spectrum moisturiser that helps treat hyperpigmentation while shielding the skin from pigment-inducing UV light. 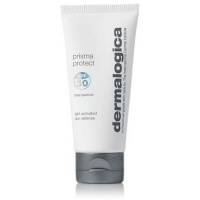 Dermalogica Prisma Protect SPF30 is a light-activated multitasking moisturiser, designed to provide broad spectrum defense while preventing future signs of skin damage.